After St Gregory the Great, Homilies and Dialogues in French Translation. 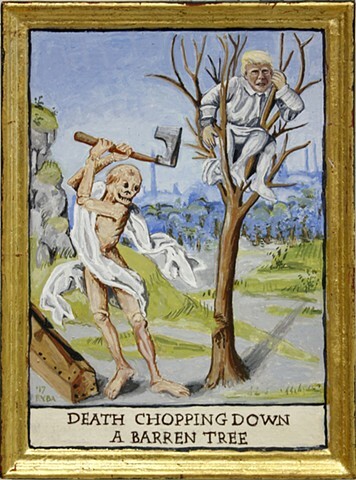 Bruges, c.1480, a collection of moralizing anecdotes. 'For now the axe is laid to the root of the trees.Every tree therefore that bringeth not forth good fruit shall be cut down and cast into the fire'," (pg. 218 Royal Manuscripts The Genius of Illumination). 7 3/4" x 5 3/4"